Contrary to popular belief, email marketing isn’t old-fashioned, and it isn’t dead. In fact, a recent study by the Radicati Group found that nearly 269 billion emails were sent in 2017. Email marketing is still very much alive and has the potential to radically improve your business. In this post, we’ll discuss the ENDREA way to make sure you get the best results from your next email campaign. Banishing your email opt-in to the footer of your website is one of the biggest mistakes you can make when it comes to email marketing. Few people scroll all the way to the bottom of a page. Instead, consider using a lightbox popup or a welcome gate in order to encourage people to sign up for your list. Offering a great freebie is another way to get more sign-ups. Your email campaign won’t get anywhere if no one opens it. A great subject line helps to ensure that your offer, information, or other marketing copy gets seen. The best subjects are personalized and interesting, letting your readers know what to expect when they open the email. It’s best to avoid BuzzFeed-like “listicle” and clickbaity subject lines. Those often send people straight for the delete button. 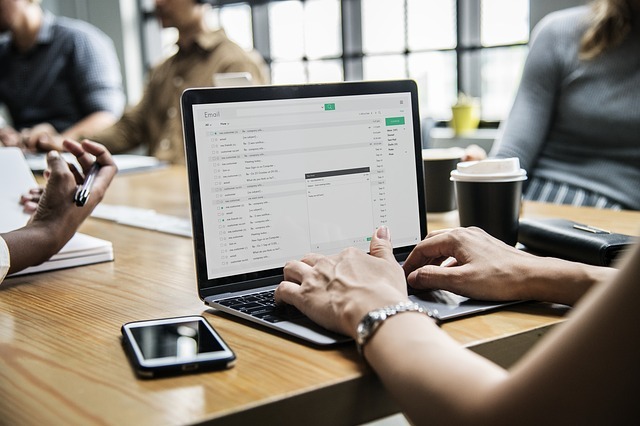 Although email is generally seen as a more informal method of communication, it’s important to keep your marketing emails looking professional. Don’t include too many images (many people disable images anyway). If you do need to include an image, avoid stock photos if possible. And don’t forget your alt text – for those who can’t see the image. It’s also best to avoid including any attachments. If the email is being sent to fulfill a freebie request, send them a link to your PDF, eBook, or report instead. People don’t enjoy being sold to. Chances are, they signed up for your email list to get something – whether that’s a freebie you offered, an informative email series, or a reminder of your next free webinar coming up. They didn’t join because they want to receive 10 obvious ads over the next six days. Keep your email content short, informative, and personal. Then, when you’re ready to offer a great discount or a new product, they’ll be much more likely to listen and be interested. You spend time and money making sure your website looks good on a mobile device. You optimize your social media content for tablets and smartphones. Why, then, would you skip this step when it comes to your marketing emails? Just as with websites and social media, the majority of emails are being read on a mobile device. Take the time to make sure yours look the way they should. Every email that you send should have a purpose. Even when you’re just delivering a promised opt-in freebie, there should be a clear call-to-action somewhere within the email. This keeps your prospect moving forward through your marketing funnel and into the next step. The last thing you want is someone stalling after they’ve given you their information! By following these simple tips, you can vastly improve the results you’re getting from your email campaign. Still stuck on what to say? We can help. Our team of dedicated content and copywriters are ready to help.